For this edition of the Unique Property Bulletin our feature article is about property for sale (or sold) that has been part of the Grand Designs television series. 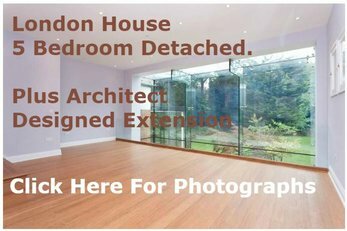 More particularly our rebooted sister website Grand Designs For Sale. For many years we have regularly worried if there would be enough unusual property to fill the next Unique Property Bulletin. Whether we could avoid disappointing those many friends, readers and unique property dwellers who email us looking for their ideal project to turn into a dream home. In hindsight this has been a lot of worry wasted. We should know by now that there are plenty of unusual properties to go around. This edition is one such example where we thought the content may be sparse, but during the research and assembly process are now practically spoiled for choice. 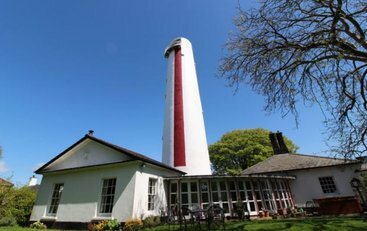 Not only do we have Grand Design property coming back onto the for sale market, in this same edition, another favourite genre, lighthouse buildings, with this detached former lighthouse keeper’s cottage has just popped up for sale. Located at Scrabster it has lovely sea views, lots of interesting ships passing by to watch, and a gateway to the Shetland and Orcadian archipelagos. An amazing wee house, and not a lotof money either. It is also pretty much ready to move into. The major items like a new kitchen, new bathroom and double glazing etc., having been sorted out. We promised faithfully to cover any Dr Who Tardis sales. Not quite sure what unique lifestyle this little cousin of the London Tardis might afford. Looks like Dr Who now has a serious taste for coffee. Though when the Unique Property Bulletin’s sister company Scotslion bought a coffee shop we were shocked (in a good way) to see £40,000 worth of coffee sold in the first three months – that was just the cups of coffee, not including meals or other beverages. So with cups of coffee selling in the tens of thousands of pounds, this diminutive Tardis coffee and snack outlet would appear good value for the money. Perhaps if you live close to this Dr Who abode, you might end up buying a new job and unique lifestyle if your bid for this small piece of time travel style real estate is successful? Just a thought. Anyway we did promise to let the many dozens of our dedicated Dr Who readers know when the next one of these iconic boxes comes up for sale. Useful note – this lot failed to sell at auction on 25th August 2015 when guided at £25,000: Click Here. So there may be some wriggle room on price. Guide: £20,000 to £30,000 For Auction 8th October 2015 Unless Sold Prior. Also if you read this after the auction and the current police box listed here has been sold, worry not – there are dozens of other Tardi out there that will likely materialise on the sale list.. In late May 2015 we listed this former WWII Air Control Tower (plus 9 acres of land) that was being offered from sale via auction. However, for some reason the property was withdrawn. We promised to let Bulletin readers know if and when this interesting little piece of aviation history came back up for sale. Thanks to an alert reader who spotted this property being relisted, we can keep that promise. The former Winkleigh Air Traffic Control Tower is now being auctioned on 22nd September 2015 with a guide between £35,000 and £50,000. Regular readers of Unique Property Bulletin will know how rare these old, iconic World War II buildings are. This one has come up for sale via unfortunate circumstances of a previous owner – a receivership – and the auctioneer has now priced it to sell. Description: A two storey detached former RAF Air Control Tower and land extending to approximately 9.5 acres, along with a further range of disused outbuildings and shelters. Historical Note: The control tower is a former RAF watch tower that was part of a night fighter station during the Second World War and we understand that this building is listed by English Heritage as a Scheduled Monument. External viewing only. Any internal viewing is at VISITORS RISK. Location: Air Control Tower, Winkleigh Airfield, Winkleigh, Devon. EX19 8EZ. Contact – Emson Auctions Tel: 01392 366555 – Scott Gray or Katie Semmens. Situated in the centre of the island are two dilapidated, semi-detached former Lighthouse Keeper’s houses, built of brick and faced with harling with a flat roof. The larger of the two houses had a sitting room, kitchen, three bedrooms, bathroom, workroom and two storage rooms. The smaller house had a sitting room, kitchen, bedroom and bathroom. There is also an old walled garden and sundial. Contact Knight Frank Agencies Tel: 0131 516 7570 – Ran Morgan. Please can you mention that you came across this property via Unique Property Bulletin when chatting to the estate agent? Thank you. Worry not about ending up in the workhouse as a prisoner! We are just playing with words. The old workhouse building in Bala that is pictured above has been converted, modernised and is very comfortable for either living in or utilising as holiday accommodation. Also a reasonable price for a modernised dwelling of this style. So the little workhouse house has an unusual connection to a place which is very unique! Click On The Picture Above To Watch A Piece Of Television Nostalgia. To those of a certain age, the theme tune will probably stick in your head for a week! Torquay Church With Indoor Racing! Ground Floor: A range of party rooms, games rooms, toddler and children’s soft play apparatus, indoor go-kart track, cafeteria with plentiful seating and male, female and disabled cloakrooms. First Floor: A multitude of children’s soft play apparatus including seating area. Outside: Good sized gardens and grounds which are predominantly formalised as off road parking. The building sits in a site of approximately half an acre. So there may be the possibility, subject to planning permission, to build a new owner’s house in the grounds. Thereby making this a unique lifestyle place to live and work. We started the week trying to find a church in Berkshire for one of our readers. 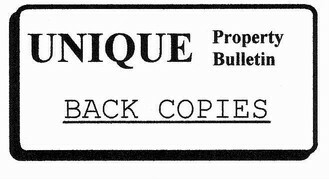 Sadly (for buyers) the one we listed in the last Bulletin sold quite quickly. It soon became apparent why. Berkshire property is handsomely priced and bargains sell promptly. Still our search for churches did bring about a couple of interesting candidates, albeit in other areas of the UK. Lot 1. 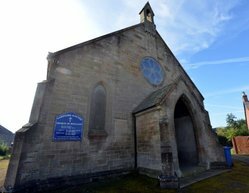 Built in 1905 in coursed sandstone beneath a Westmorland slate roof, the church stands in a spacious site of 0.80 acres (0.325 hectares) or thereabouts and enjoys dramatic views from an elevated position over Rookhope and surrounding meadow and pasture land to moorland beyond. The land contains no burials or internments. The church is Grade II Listed. It has a simple design that allows the building to blend in well with the landscape. The net internal floor area is 120 square metres/1290 square feet. A small store is situated in the grounds. Lot 2. Approximately 2.55 acres (1.030 ha) of land. Edged blue on the Sale Plan. A single enclosure of permanent pasture land with a steep southerly orientation and with road frontage on 2 sides. An inspiring conversion from an unusual property into a splendid and unique home. The Rotunda was originally built in 1879 as a school adjoining the Congregational Church on the northern edge of Godalming town centre. The River Wey is situated to the north of the property about 0.1 miles with scenic areas of open countryside to the west. The ancient market and coaching town of Godalming offers a wide range of individual shops, restaurants, supermarkets and general amenities. Godalming hass many wonderful locations which include Winkworth Arboretum, famed for its bluebell carpet in the spring. The miles of beautiful surrounding countryside is ideal for walking, cycling and riding. Nearby leisure facilities include Milford, Charterhouse and Hurtmore Golf Clubs along with Godalming Leisure Centre and The Charterhouse Club (sports leisure facility within the renowned Charterhouse School). This picture bothers us a little. We are having a debate whether we have seen this property on a television programme. Possibly Grand Designs, Perhaps one of the other mainstream media coverage of interesting property projects. Déjà vu? It is just something about the atrium and the glazed area giving a glimpse to the floor below. The rest of the house is an absolute pleasure to view – just check out the estate agents weblink below. For now, if anyone can accurately guess what television programme this property might have featured in, we have a small, but possibly helpful prize – the winner receiving a free copy of the Unique Property Manual. All you need do is put us out of our misery and advise where we will have seen this building on television – just Click Here to let us know the answer? Estate Agency Narrative: Enjoying a discreet position, and located opposite the vast open spaces of Hampstead Heath, a unique three bedroom, three bathroom detached contemporary house comprising 320 sq m/3,451 sq ft arranged over two floors only which has been built and finished to an exacting standard, offering a striking sun soaked interior. Approached via its own two/three car parking area and set behind a gated patio garden, the low profile of the front elevation does belie the generous internal accommodation. The architect has cleverly created large open plan living spaces with a 25′ ceiling height in the main reception area, a comprehensively fitted Poggenpohl kitchen/breakfast area which enjoys direct access onto a central core sunken deck, a television family room, gym, cinema, wine cellar and plant room. The principal bedroom suite, which comprises bedroom dressing area and en-suite bathroom, leads on to the patio garden and the two other bright bedroom suites enjoy dedicated outside access too. Further Details: Click Here for a very impressive and comprehensive range of photographs to study. This detached barn, set in approximately 2 acres of land is currently utilised as a holiday investment property, but could (subject of course to planning permission change of use) also be enjoyed as your own home. Possibly even a midway between a home and a holiday letting property? Used primarily as an investment for holidaymakers with yourself as owner, popping across for enjoyable days, weekends, or even weeks away from mainstream life to relax at your very own holiday bolt hole. The oak beamed and granite barn is beautifully presented throughout and tastefully restored with modern day living in mind but still retaining many original features. Alert readers will note that the rent on Scarlett Point Coastguard Tower is just ONE POUND per year. We know that this sort of economically beguiling adventure is possible as the Unique Property Bulletin started out in an old derelict coastguard tower. Just like Scarlett Tower, we were offered an old ruin of a building. Our rent was 20p per annum! The catch – and it was more of a pleasure than a chore – was the lease required us to modestly renovate the property to usable condition. It was a long term lease and suited ourselves and the owner. The odd thing is, were we NOT to have leased the old coastguard tower on Davaar Island, then you wouldn’t be reading this. 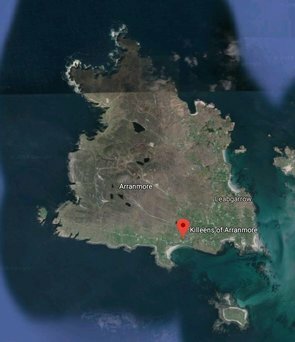 It was at the Davaar Island coastguard lookout station, and because of the unique buildings and fantastic island location that the Unique Property Bulletin was born! 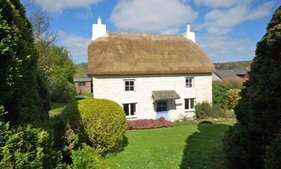 We have receive a regular and gentle flow of emails asking if it would be possible to feature longer-term rental properties in this section to complement the brief encounter few-days holiday variety that usually feature at this point of the Bulletin. A variety of high quality properties in a beautiful location are available to rent – the choice changes over time with a nice range of cottages to chose from: large farmhouses with land, stables and outbuildings to pleasant little houses that were originally utilised for castle estate staff. Belvoir Castle is an incredibly handsome building, and to live on the castle estate in this part of the country is very affordable given the location. People of all ages, backgrounds and professions enjoy life on the Belvoir Estate. The ability to escape the stresses of urban life, retain a city home and an easy commute to London are just some of the benefits enjoyed by today’s tenants. The properties are situated within delightful Leicestershire and Lincolnshire villages in the heart of the unspoilt and very beautiful Vale of Belvoir. The area can easily be accessed by road from Grantham (8 miles), Melton Mowbray (12 miles), Nottingham (18 miles) and Leicester (30 miles). With Nottingham East Midlands airport less than 35 miles away and a high-speed rail link from Grantham arriving at Kings Cross station in little over an hour, it is an ideal location for commuters. We have listed earlier rental properties for the Belvoir Castle Estate as it is entirely possible one or more of these WILL come up for lease again. This gives you a flavour of some of the castle estate buildings that are rented. This is one of those wonderful things that just jumps off of the page. Jono Williams is a New Zealand engineer who came up with this amazing idea for what the Kiwis call a man-cave. Here in Old Blighty more likely to be a reserved name such as a garden-room. We like man-cave better. Kind of suits the whole idea. …plus a great deal of effort. Approximately 3,000 man-hours and GBP£30,000. On a personal basis, when the budget allows, Jono will be getting an all-expenses paid invite over to Britain to supervise the construction of one of his designs here in the UK. It is just such a brilliant concept, and so very well made. Not least because of the solar panels linked in with a lot of IT. Then there are, of course, the 360 degree views. The last major Grand Design’s feature that we covered was in Bulletin was the Dome House and can be seen about a third of the way into that edition – 3 May 2015 Click Here. Since then we have overhauled our Grand Designs For Sale website so it is more intuitive. The front page has the current crop of Kevin McCloud specials that have come onto the open market. Plus a way to see if earlier ones can be coaxed back for sale (Kennington Water Tower). A materially important change since Kemey’s Folly was last placed on the sale market is the fact that £750,000 has been shaved off of the price. Nice. Three quarters of a million pound in price reduction is an interesting event. For Bulletin readers who like the Grand Designs television series, we are delighted to no have a dedicated website which has been rebooted to a more logical format, whilst still retaining older Grand Designs property that has been on the sale market, but subsequently sold. This information can be very important to those researching what properties from the series have been for sale along with details. In some cases, such as Kennington Tower, it may well be possible to see if the owners would consider putting the property back up for sale. After all, Kemey’s Folly was up for sale, then taken off of the market and after a period placed back up for sale. So it is well worthwhile looking at other similar cases. Kennington Water Tower being one such example with what looks to be a similar on-off-of sale progression. Last but not least, we are steadily adding to the Grand Designs website, so it may well be worth while keeping an eye on it for new additions.